One of the most rewarding parts of researching and writing about my great-grandmother Ethel’s life is when my life seems to replay hers. A few months ago I spent an afternoon transcribing a stack of letters she had written to her youngest son. It was 1935, and Ethel and her husband were digging out of the Great Depression. They had moved from Minneapolis, Minnesota to Memphis, Tennessee, so that he could rebuild his landscape architecture practice in an area with a longer growing season. Things were looking up for Ethel, after the long years of uncertainty and real poverty, and she was immensely proud of her son, who had enlisted in the U.S. Navy and was working to gain admission to the U.S. Naval Academy. I spent an autumn afternoon reading through her letters—which were mostly responses to his letters describing life at sea. She had sprinkled her replies with homey little details about her shopping trips to town and the progress of her flower garden. As I transcribed the letters, I wove them together with selections from her unpublished memoir, in which she described these same years of settling in to a new home in a new part of the country. In her memoir Ethel remembered warm days alone with her dog while her husband was off at work, and long walks down her driveway, past the cotton fields bordering her little house in the country to pick up the mail—and how each day she’d hope to receive a letter from her son. All that reading and transcribing was fun, right? 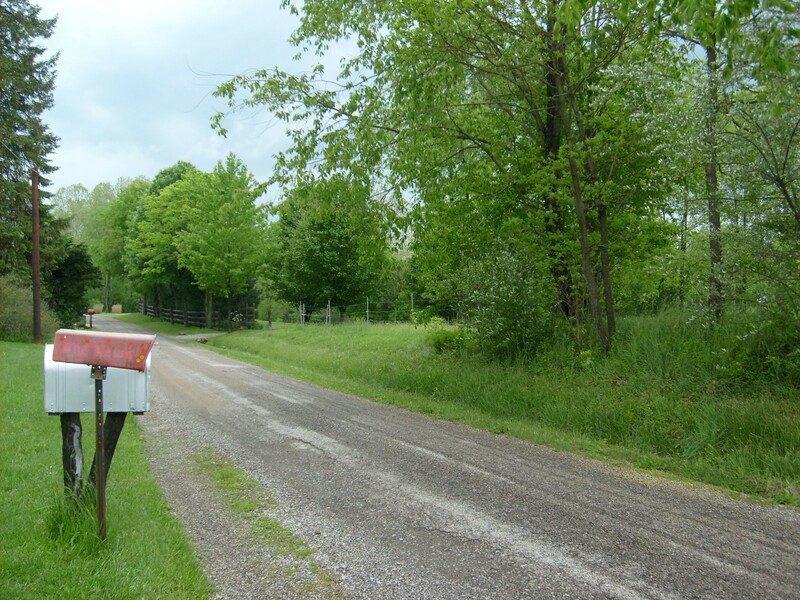 But eventually I needed a break, so I grabbed an apple and called the dog and took a walk down my long driveway to the mailbox—maybe there would be a letter from my son, who’s away at his first year of college. Somewhere along the driveway it dawned on me that this is what Ethel did. Yeah I know, not a big deal, right? Lots of people walk down the driveway to pick up the mail. But somehow it meant something to me that my life was overlapping hers just a little—we were both missing our sons and hoping to hear from them at the end of a long walk on a warm afternoon—it was a kind of wrinkle in time. It happened again this winter, as I was transcribing Ethel’s journals from her 1909 honeymoon trip to Europe. Last spring I was fortunate enough to go to Italy for a couple weeks to see the principal sights in Venice, Florence, and Rome, so it was really fun to read Ethel’s descriptions of being in those same cities—in many cases standing in the same churches I did, and before the same paintings. I was amused to find that she was as unimpressed by St. Peter’s Basilica as I was: “We did not seem a part of it, nor did it convey to me a sense of repose or reverence or sanctity, but only wonder at the prodigious achievement,” she wrote, while I had similarly, albeit much less poetically, compared St. Peter’s in my own journal to “a glorified train station.” That said, we were both utterly bowled over by the Pantheon. Neither of us cared much for the tourist shops in Venice but could have lived in Florence for a good long time. I don’t know whether this is trite coincidence or something important. But what I think is that spending time learning about Ethel’s life—where she went and what she did and what she thought about it—lends a depth of meaning to my own life, especially when I go to the same places and do and think the same things. It both compresses and lengthens time, telescoping her past into my present and, as I write a record of her life, extending both her life and mine generations into the future. I don’t farm land that’s been in my family for generations, and I don’t live in the same house my ancestors lived and gave birth and died in, but I can see how being connected with your family in those ways can make you feel anchored in place and time, rooted in a story that doesn’t belong only to you but also, in one direction, to your ancestors, and in the other, to your children’s children. Since many of us are disconnected from the geographic roots of our family, researching our family history may be a great way to develop a sense of connection that can be meaningful, not to mention build resiliency and purpose. So let’s call that Reason No. 253 (give or take) why it’s a fabulous idea to research your family history. Image: Some rights reserved by karlenj5. I adored this post!!! it made me feel happy and also want to cry.. it is amazing how much I like feeling that connection to my ancestors but I haven’t taken it to such a personal depth as you have. I need to get those notes and pictures out and start the connection….This past year my sons got tattoos of the Luxenbourg Lion that has been found on my husband’s Father’s family shield from a few generations ago. They love the connection too!!!! That’s so cool that the buys got family tattoos! I love that they wanted to do that! What a beautiful post–loved it! You captured many of my feelings as I work on my family history. Great post. Thanks. Chris, this is beautifully written and expressed. I adore the idea of “wrinkles in time.” Thanks so much for putting your thoughts into words! What an incredibly beautiful and meaningful post, Chris ~ we really can “time travel!” 🙂 Seriously, the connections you have made between the past and present are amazing to read; and, this series I believe, has piqued many people’s interest in doing the same. Thank you so much for all the time you took to put this series together and to share your journey with us all!